If there’s ever a place to spend Pride, Key West is it. Key West is open, inviting and always a good time. And that’s on a normal day. 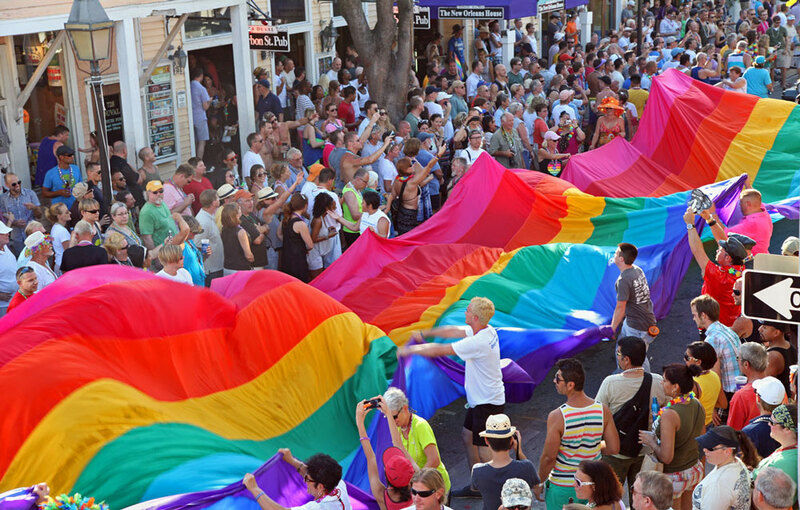 During Pride, Key West comes alive. From the vibrant street fair in Old Town to the coast-to-coast parade, Key West knows how to do Pride right. Here are some of the events we’re especially looking forward to during Pride 2017, happening from June 7-11 in Key West. This popular LGBT bartending competition returns to Key West once again for its finale. Here Stoli will crown the best LGBT bartender in the country. Expect some serious suspense as the top bartenders across the country look to wow audiences with their moves and special concoctions. Be on the lookout for this year’s celebrity judges. There will be some eye candy here. The Mr. Pride Contest brings the most handsome of the community to strut their stuff on the Bourbon St. Pub Garden Bar Stage. Expect to see some skin. Don’t say we didn’t warn you. Get into the spirit on the gay strip of Duval. This annual street fair has everything you would expect from Key West - food, fun, live music, and plenty of souvenirs to take home as reminders. Our favorite part of Pride each year, the Key West Pride Parade is truly unique. From the performers to the floats and the mile-long Sea-to-Sea Rainbow flag, this is one event that is sure to fill you with pride. It’s a must see, year after year. Key West Pride runs from June 7-11, 2017. If you’re thinking about joining us for the celebration, we at 24 North would love to have you. Check out our specials here.